Justify is the odds-on favorite for this Saturday’s Preakness Stakes in Baltimore. The three-year-old colt, who won the Kentucky Derby by two and a half lengths two weeks ago, arrives at Pimlico Race Course in Maryland with the shortest line of taking the second leg of the Triple Crown. After pole positions were announced on Wednesday, Justify opened as the heavy favorite of the eight-horse field at 1/2. Those odds imply a winning chance of roughly 67 percent. A $100 bet to win on Justify and the horse living up to expectations on the 1 3/16-mile spring classic nets $50. Kentucky Derby runner-up Good Magic is next at 3/1. The only other horse that ran leg one of the Triple Crown that is also running this weekend in Baltimore is Bravazo, and he is long at 20/1. Despite being the strong favorite, there’s plenty of murmurs floating around Pimlico regarding Justify’s condition. 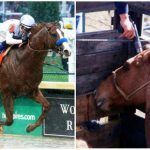 Reports have surfaced that Justify bruised his hind leg during the Kentucky Derby. Trainer Bob Baffert dispelled concerns to reporters on Wednesday. 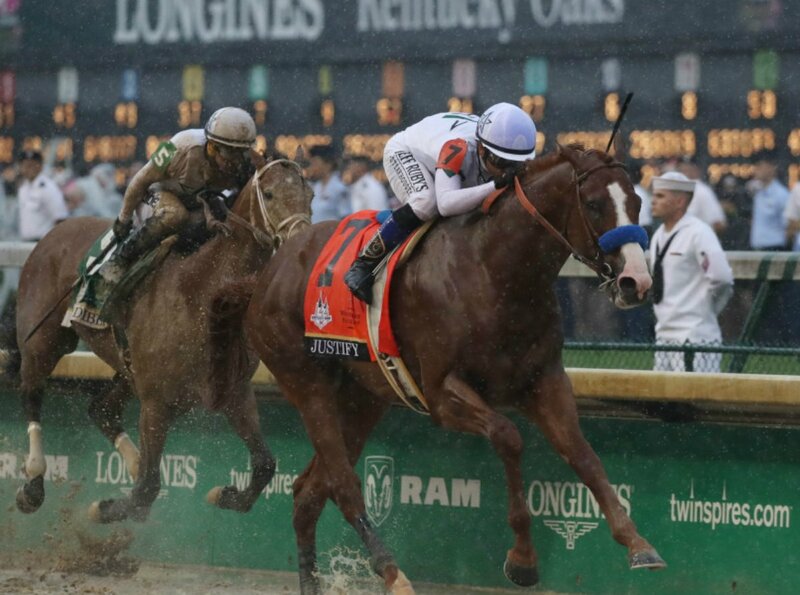 CBS Sports horse racing expert Hank Goldberg says if the leg flares up, Justify might not be the first horse to cross the finish line on Saturday. Goldberg successfully picked Cloud Computing last year for the Preakness despite 12/1 odds. In 2018, Goldberg likes Quip out of lane one. He believes the horse has plenty of opening speed to surge to the front, and endurance to stay there. Pimlico has long been known for its speed bias, and Quip has plenty of it. However, the forecast calls for a strong chance of rain, which might slow the dirt track. Churchill Downs was wet and soggy for the Kentucky Derby. Regardless of the weather, Justify will almost certainly be the favorite Saturday afternoon. And that’s just fine with Baffert. In 2015, American Pharoah became the first American Triple Crown winner since 1978 and just the 12th horse in history. He later won the Breeders’ Cup to become the only horse to ever win the Grand Slam of Thoroughbred racing. 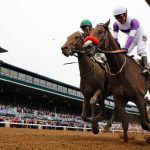 Oddsmakers and sports bettors on Bovada feel there’s a decent chance Justify goes on to win the Preakness and Belmont Stakes to become the 13th Triple Crown winner. Bovada’s odds on the feat are holding steady at +150, or 3/2, that Justify will win the two races. A $100 bet and the Triple Crown being achieved nets $150.